For St Patrick’s Day, we wanted to celebrate “Green” and more importantly update you on the current colour trends in jewellery. Many of our current designs feature these colours, including statement necklaces, rings( even the double finger ring which is back!) 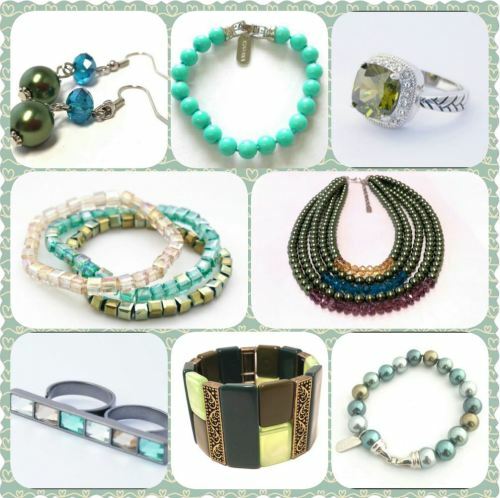 , stacking bracelets , cuffs & earings. Adding on-trend pieces to your jewellery collection is a perfect way to give an outfit a new , fashionable look ( without breaking the bank!). Our “Sale” page has a few surprise additions, plus free shipping, so if you have a minute to spare , it’s well worth a look. For the St Patrick’s Day fans , have an enjoyable one & if not, have a great day anyway ! !